On a recent trip to Bellingham, Sarah introduced us to my two new favorite things- Trader Joe's and Pel'meni Restaurant. (America, you have been holding out on me! 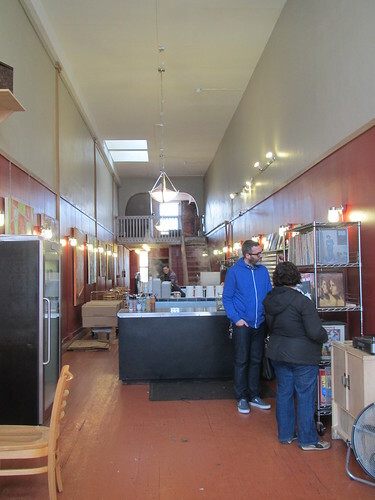 How did I not know how awesome Bellingham could be?) 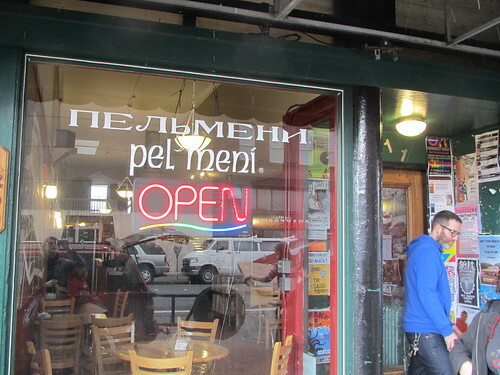 Pel'meni is tucked into downtown Bellingham and they served one thing. Dumplings, meat or potato. 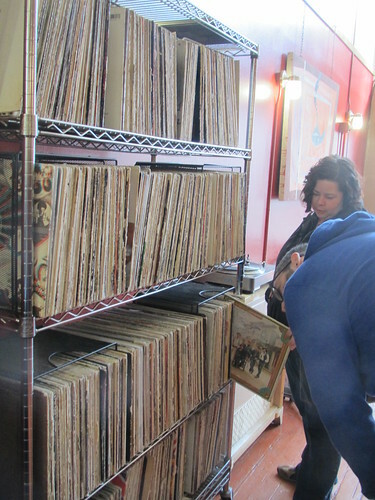 The other feature is a rack of records that you can play while you enjoy your dumplings. With my love of food wrapped in dough and Big M's love of vinyl, Pel'meni is the perfect restaurant. First we ordered our dumplings, a mix of meat and potato for Sarah and I with Michael choosing all meat. They cost about $7.00 (USD) and you get about 18 or so dumplings. Then we hit the records to pick out our lunchtime soundtrack. We were the only ones in there at lunch time on a blizzardy Sunday so we did not have to worry about sharing, thank goodness. In the end we chose an awesome French record as we enjoyed the multiculturalism as Candians ate Russian dumplings in an American restaurant while listening to French music. We are so worldly. 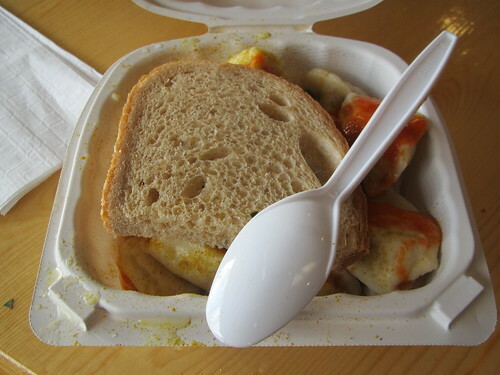 The dumplings are served in a take out container with a piece of rye bread and a side of sour cream. Dumplings with a side of bread? This place kept on getting better. 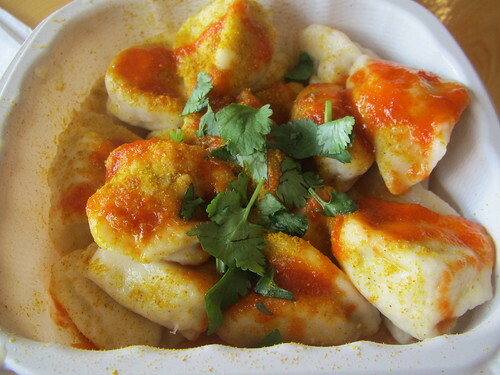 The twist is the spices on the dumplings, from what I could tell, a mix of curry and hot sauce with some fresh cilantro on top. So good with the sour cream side.